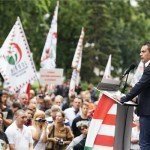 If you have tried any Hungarian meals, then you know that they tend to stick with you – their taste is something that you cannot quite compare to anything else. Now, imagine that you have grown up eating these foods… Surely there is at least one item from this list below that any given Hungarian would miss terribly. 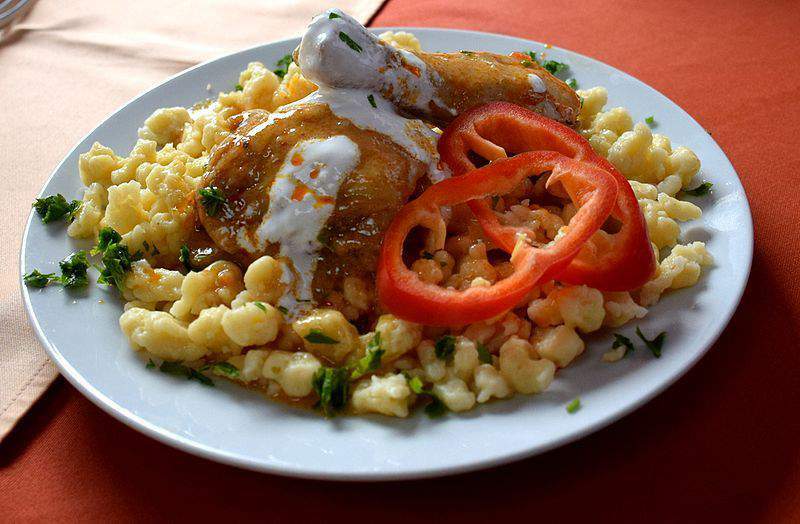 Goulash is often said to be the national food of Hungary, originating from the Great Hungarian Plain since it was a filling meal that herdsmen cooked while they were away from home during the day. 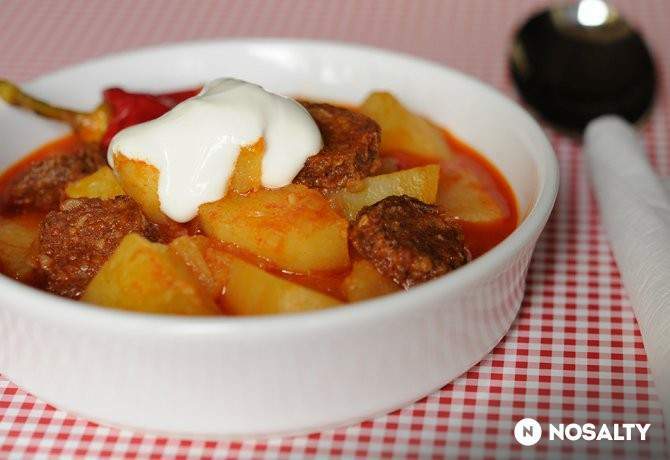 Goulash can be made from chicken, beef or pork, with lots of vegetables like potatoes, carrots and turnip, along with onion and… you guessed right, paprika. This hearty soup tastes best if you cook a large quantity, and as most Hungarian meals, can be served with sour cream. Fisherman’s soup is a paprika-based fish soup, usually prepared by using carp, catfish or pike with a variety of vegetables and sometimes mushroom, too, with noodles and tarhon. It is made from similar ingredients and following a similar method as goulash, but somehow, it is very different from it. Halászlé is an essential part of the Christmas menu, prepared with slight variations: some people like it sour, others spicy, some use pureed fish, others cut the fish into small pieces while some cut it into big chunks. Although broth or chicken soup are cooked elsewhere too, it is a very important part of the Sunday lunch menu and of Hungarian wedding feasts. 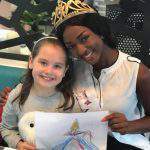 Chicken soup is usually made from hens or roosters with lots of vegetables, so, it is a hearty, tasty and healthy meal. Some grandmas prepare their own noodles for the soup, which makes it even tastier. 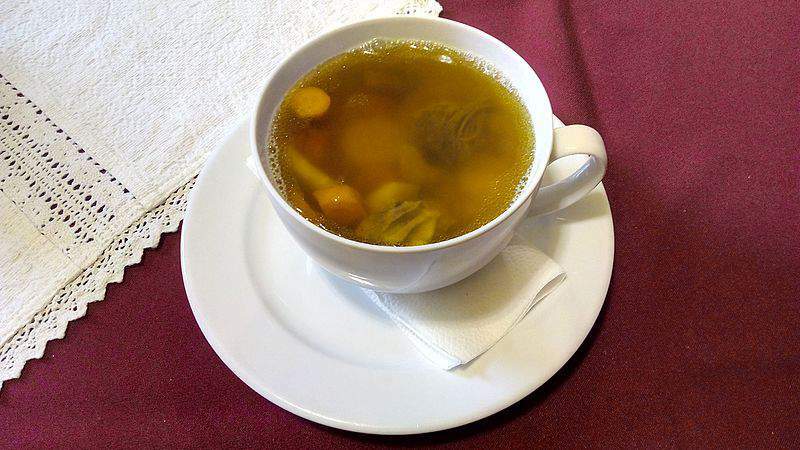 This soup is every Hungarian’s go-to remedy for colds, digestive problems and is the miracle cure for hangovers. 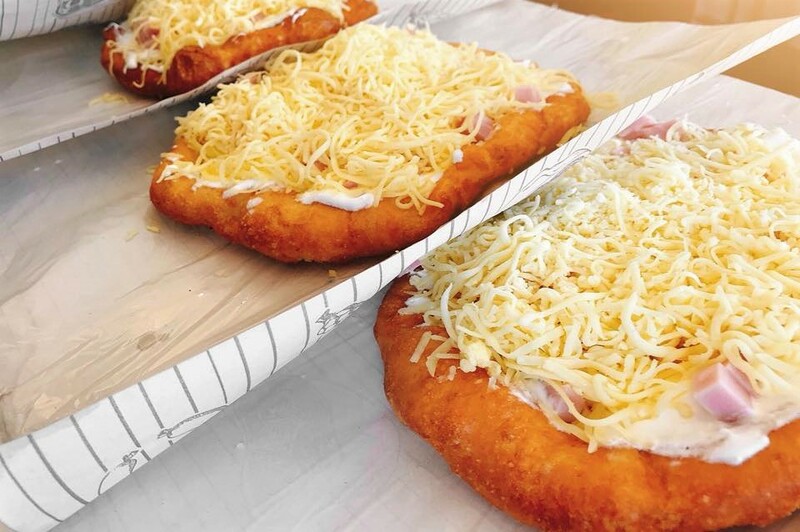 This deep-fried flatbread is gaining popularity worldwide, conquering even the USA, not only because there are lots of Hungarian communities abroad but also because it is one of the most delicious foods ever. Lángos is not complicated to make, as you can see in this recipe, and can even be stuffed. Hungarians eat it with different toppings; the classic is the sour cream and cheese combination, but you can spice it up with bacon, garlic, onions, cottage cheese or even Nutella. 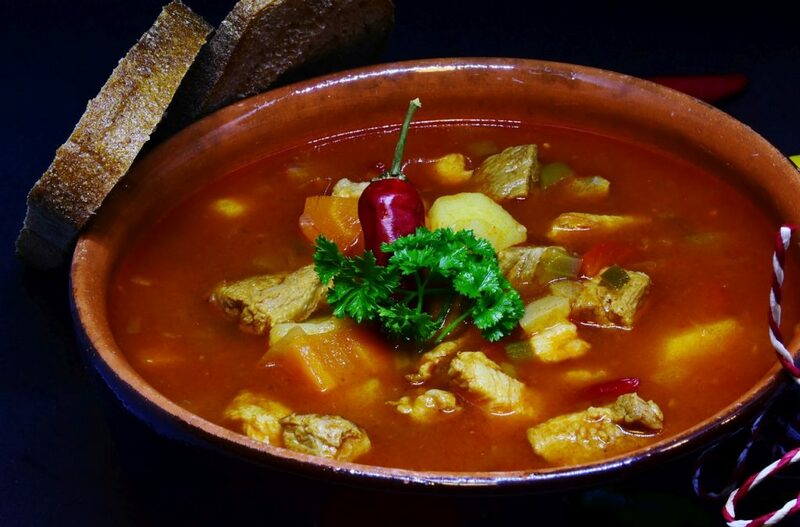 There is no English word for főzelék, which is a meal that resembles a stew in preparation, but the end result is rather like a very thick soup. Still, it is not a soup, but a creamy wonder made from vegetables that reminds Hungarians of their childhood. In Hungary, there are restaurants specialising in főzelék, like Főzelékfaló, a restaurant chain in Budapest. Although főzelék is made from vegetables, you can have sausage, wursts, bacon or fried eggs as a topping, making it a filling and healthy meal which helps your metabolism. 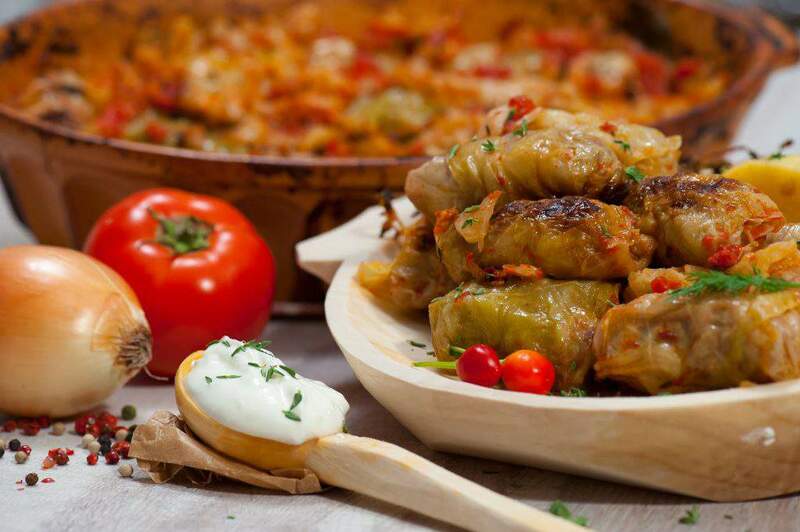 Stuffed cabbage can never be missing from the Christmas menu in Hungarian households or from weddings. Although everyone has their own take on it, the basic recipe calls for cabbage leaves which are then stuffed with minced meat and rice, and are then cooked in tomato sauce. To achieve the best taste, cook a large batch and serve it with sour cream or homemade tomato sauce. 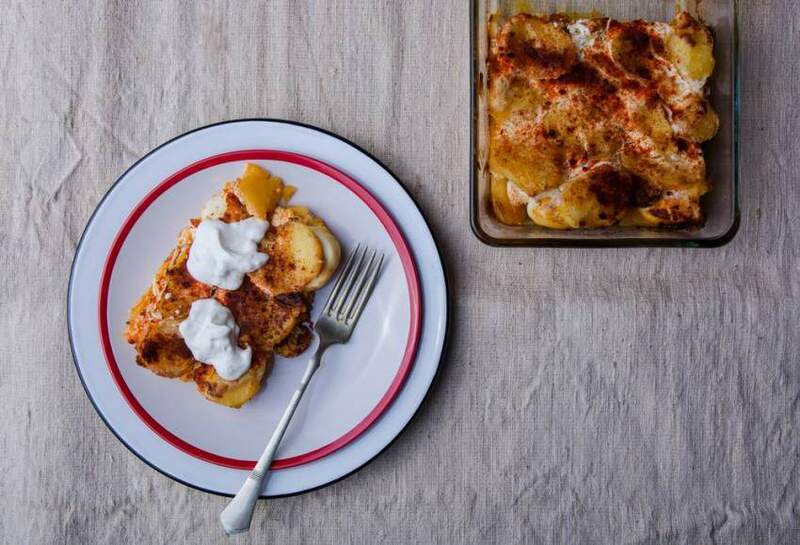 If you have been following our recipe series, then you know that sour cream and paprika are the building stones of Hungarian cuisine. 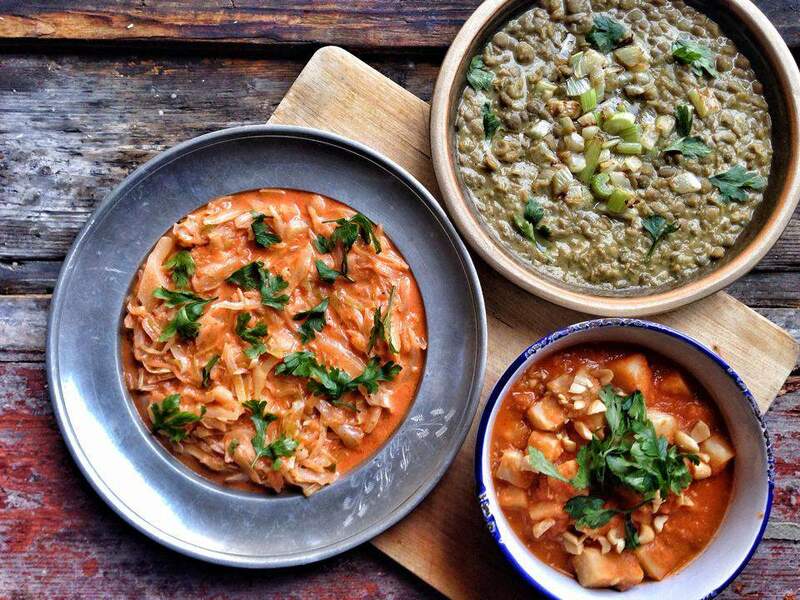 Paprikás is a stew made with paprika and sour cream from either chicken, catfish or mushrooms. It is the best representative of the Hungarian kitchen, as it also contains onion, garlic and pepper. Paprikás is usually served with nokedli and sour cream, and it has been popular since the 1800s both among the nobility and the commoners. Do not let this meal’s name fool you: although its main ingredient is paprika, sour cream is not used when cooking it, only for the serving. Paprikás krumpli is one of the easiest and cheapest potato recipes in the Hungarian cookbooks and is usually made with sausage or wursts. Hungarians might remember it from their childhood: mothers often cooked paprikás krumpli at the end of the month, if they were running short on money, but it is popular among university students too. 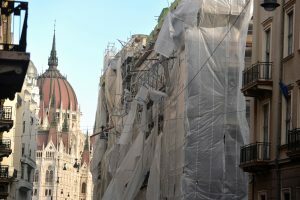 There is no Hungarian household where layered potatoes are not made every couple of months. 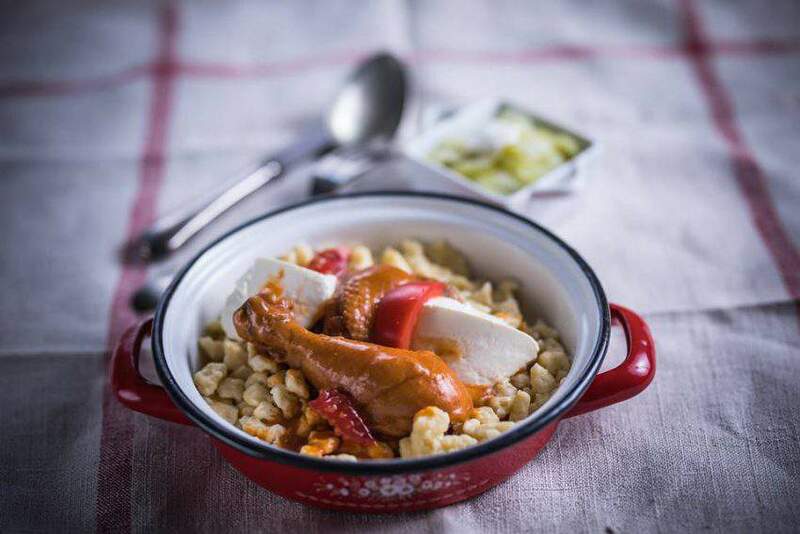 On top of this, 99.99% of Hungarians like this meal (although we have not made an official survey yet to back this up), reminding them of their childhood. Layered potatoes are cheap and easy to make: just cook a couple of potatoes and eggs, slice them up and layer them with sour cream in a heat-resistant pot, then straight into the oven it goes. You can put cheese, bacon or sausage between or on top of the layers if you feel like it. This meal is served with sour cream too, and although it is not too presentable, it is beyond delicious. 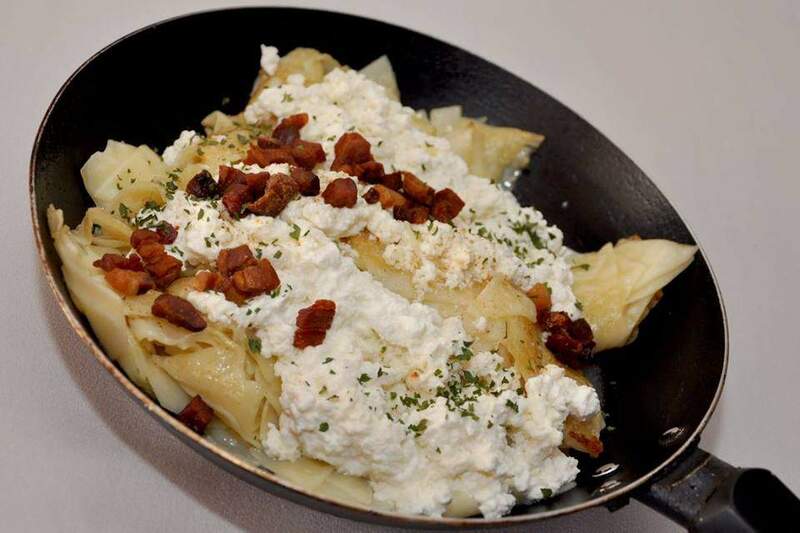 Túrós csusza is a weird wonder of the Hungarian cuisine: you cook the pasta, then mix it with fried bacon and cottage cheese, then bake it, then you add some more cold cottage cheese and sour cream when it is done baking. Túrós csusza can be a main dish, a side dish, but even a dessert, provided you leave out the bacon and sprinkle some sugar on it. Stuffed cabbage, layered potatoes, túróscsusza, fish soup and bean or lentil főzelék. 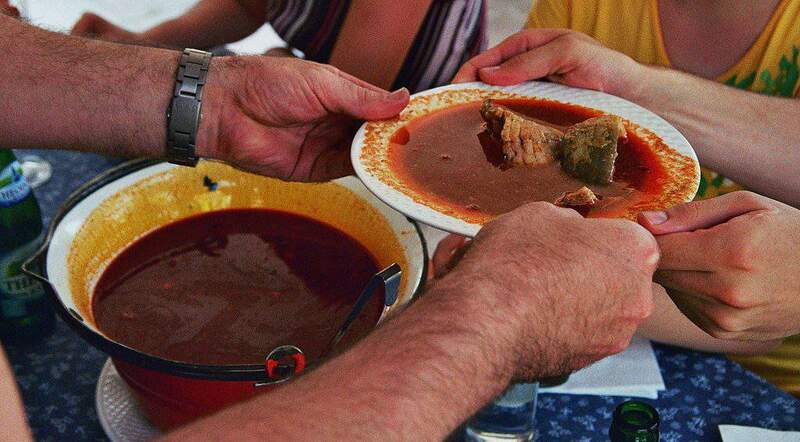 – gulyás was originally cooked by the herds men out in the fields, hence the name. In the “túróscsusza” the Hungarians use farmers cheese (quark) not cottage cheese. The cottage cheese is unknown in Hungary.